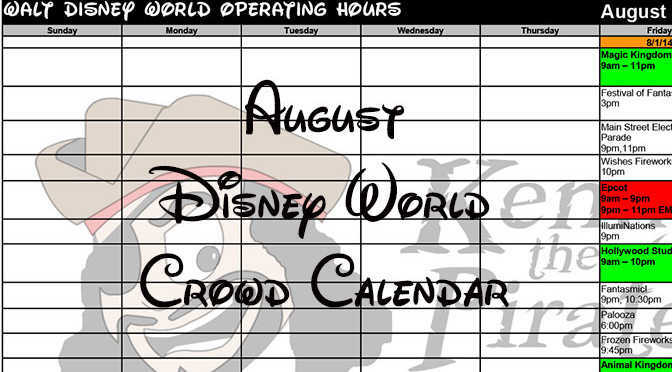 Walt Disney World park hours for Hollywood Studios for the month of August and September 1-5 have been updated and now include Star Wars Fireworks through that period of time. Check my August and September Crowd Calendars for the schedule for your travel dates. Additionally, I’ve updated my Attraction Refurbishments page to include some upcoming closures at Disneyland. They opened up dessert party until Sept 5th but no availability…..still not sold out for dates in July. Could they really be sold out for all of Aug already? i’m trying to book for august and was wondering the same thing. i called disney today and the woman i spoke with said she couldn’t book beyond july 31, and her best guess was they are “working on updating the site” and it’s not really all sold out. keep checking back! No dates in September are showing available, ugh. Was anyone able to book in September? I feel like they are releasing it a little at a time. I just feel like it’s impossible to be sold out yet. I think they are working out the kinks since it’s so new. Thanks Kenny! Any guess as to when they might release Star Wars Fireworks times beyond Sept 5? Or a guess if you think they will continue them nightly? I’ll guess they will continue, but may not be nightly. Thanks! That’s what I am thinking and am afraid of – lol!